Our goal is to connect people with the best local experts. 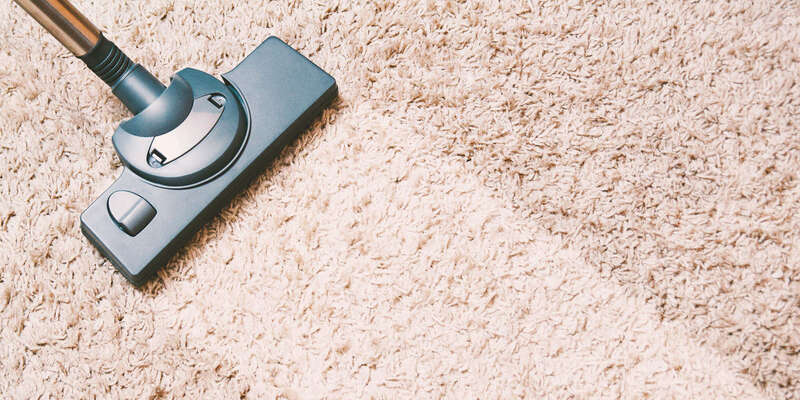 We scored carpet cleaners on more than 25 variables across five categories, and analysed the results to give you a hand-picked list of the best carpet cleaners in Meridian, ID. A-OK Building Maintenance Inc. is a family-owned and operated cleaning company that was founded in 1975 in Meridian and provides janitorial, carpet cleaning, and window cleaning services to residential and commercial customers across the states of Idaho and Nevada. They clean homes, retail facilities, and federal, state, and office buildings of all sizes. The company has 30 years of carpet cleaning experience using a state-of-the art truck-mounted system and green, eco-friendly solutions. They perform hot water extraction steam cleaning and low moisture encapsulation. This allows them to provide the highest -level cleaning services for their clients, and to be able to offer them 100% satisfaction guarantees. The company’s residential house cleaning service is tailored to the individual needs of each client and is offered on a once-only, quarterly, bi-annually, or as-needed basis. Enviro Kleen is a family-operated commercial and residential cleaning service in Boise, Idaho, serving the Greater Boise Area. Services provided include floor and carpet cleaning, window washing, dusting, and vacuuming. For residential properties, Enviro Kleen also offers upholstery, tile, and grout cleaning, as well as pet odor removal. Trained and experienced staff use superior and safe equipment to ensure a high standard of work. Enviro Kleen has customizable services with flexible scheduling to accommodate individual needs. Its cleaning regimen emphasizes maintaining indoor air quality while ensuring the health of clients by eliminating dangerous pathogens from common areas. Enviro Kleen offers high-quality service with regular communication and monthly quality checks to ensure 100% customer satisfaction. Idaho Carpet Cleaning gives customers throughout the Boise, Nampa, and Meridian areas the professional services they need, backed by a commitment to quality, affordability, and customer satisfaction. Carpets are a serious investment for any homeowner or landlord, so it pays to keep carpets in good condition for years of comfort beauty, and value. Whether customers have heavy dirt in high-traffic areas, smelly food or pet stains, or just want to freshen the home after a long winter, the company's cleaning technicians have the tools and products to tackle even the toughest jobs with ease. From water restoration and upholstery cleaning to Rotovac restoration for matted fibers, Idaho Carpet Cleaning does it all. Located in Boise, ID, Maas Cleaning & Restoration is a family owned and operated carpet cleaning company that has been providing quality customer service for nearly five decades. In addition to carpet cleaning, Maas offers fire/water restoration, upholstery cleaning, odor removal, pet stain cleaning and Oriental rug renewal. Boats, RVs and motor home upholstery and carpet cleaning are also provided. Maas specializes in utilizing safe and pet-friendly cleaning products and equipment on all of its projects, ensuring a family-safe and friendly cleaning experience for its customers. Numerous positive testimonials from satisfied customers are available on social media and the Maas website. Maas is certified, insured, and offers free estimates for all cleaning inquiries. Super Shine Carpet Cleaning serves residential and commercial customers throughout Boise, Idaho and the surrounding areas. They proudly use Green Seal-certified products as well as non-toxic and biodegradable cleaning agents that are tough on dirt and grime but gentle on the environment. The professionals at Super Shine Carpet Cleaning understand how important it is for families to be safe and healthy in their homes, and they strive to eradicate all harmful bacteria and allergens. Services offered by the specialists at Super Shine Carpet Cleaning include area rug cleaning, carpet cleaning, carpet repair, pet stain and odor removal, renovation carpet cleaning, emergency toilet overflow clean up, and upholstery cleaning. They are certified by the IICRC to handle all water damage restoration requests and stress the importance of addressing all overflow problems as quickly as possible. The Idaho Cleaning Company provides janitorial and commercial services for clients in the Meridian, Idaho metro area. Trained professionals offer customized services tailored to meet a client's specific needs. Free consultations are available. A variety of services is offered including office cleaning, floor cleaning, carpet cleaning, floor maintenance, and stripping/waxing. Also, they provide estate cleaning which offers a full range of essential services to manage personal property. They currently hold an A+ accreditation with the Better Business Bureau. The Idaho Cleaning Company is also highly rated on Google where clients speak highly of their attention to detail, professionalism, and competitive prices.